Energy Park comprises an important part of Campbell County's inventory of industrial land. It is located close to many major features that support industrial development including a main line of the BNSF Railway. This rail spur carries varied traffic and is not the dedicated coal line serving the Powder River Basin. Some of the features include shovel-ready sites, easy access to Interstate 90, and close proximity to the Gillette downtown and shopping areas. This park is within a 10-minute drive of the airport that has daily jet service to Denver. 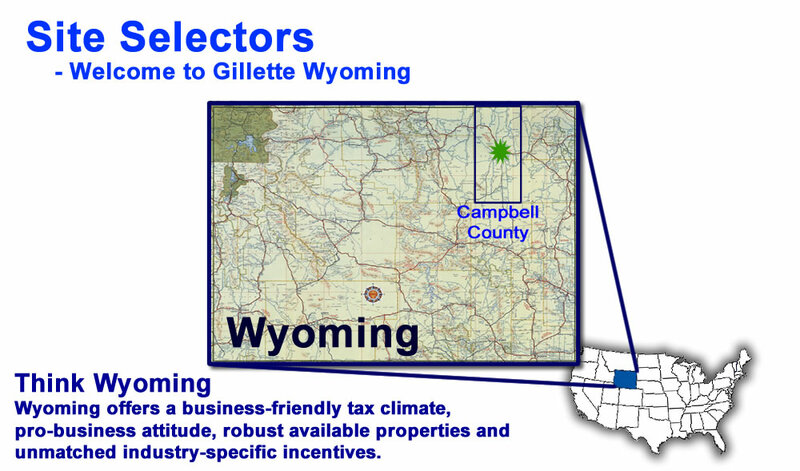 Available Sites Map The City of Gillette and Campbell County, working with Energy Capital Economic Development and local real estate agents, have provided the map available here to identify business sites in the community. No properties are available with those search criteria.